Job Portals are designed for organizing the methodology of job-search and recruitment. It has made it easier for job-seeking professionals and companies to interact and avail the best of opportunities. Nowadays, job portals are becoming popular as a number of job seekers are turning online for the sole purpose of applying for jobs. More and more companies are dependent on the several job portals for acquiring the right person for the recruitment process. If you are looking for any job portal development services, contact the experts at TechSupportDubai to get seamless services from our reliable experts. If you are looking for reliable Job Portal Development Company in Dubai, come in contact with us. 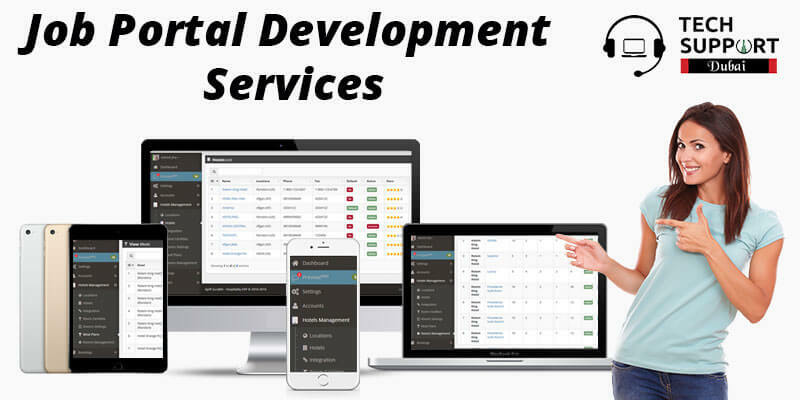 Our developers employ a process oriented development model to develop the best job portal for your website. They are experts in a wide range of software tools and techniques which are used from time to time for developing feature-rich job portals. Why opt for our Job Website Portal Development in Dubai? Our Job Portal Development Services create a multipurpose platform for the job seekers and the employers. It also broadens the potential job opportunities to spot the ideal match for the requirements of both employers and eligible job seekers in the appropriate industries. Dial our helpline number: 042053349 to get in touch with our team of Web Development and discuss your specifications with us. Our experts will deliver convenient services at an affordable range. You can even email us your project requirements and we will look forward to reaching you with suitable services for the development of job portals. You can even talk to our tech experts through live chat facility and discuss your choices with us so that we could provide you with services as per your requirements. We also provide news web portal development service in Dubai.